Smitten founder Robyn Sue Fisher smiled broadly at hearing the unprompted testimonial. 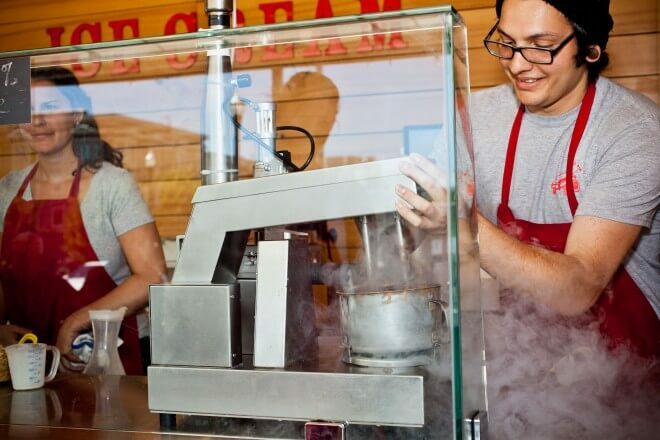 Making the best ice cream in the world was exactly her goal when she left Stanford’s Graduate School of Business a few years back. Based on the line that snaked out the door on a recent visit to Smitten’s Hayes Valley outpost, and the 17,000 people they serve a month, she’s on her way. Check out the full Wired article here: How Silicon Valley Perfected Ice Cream.